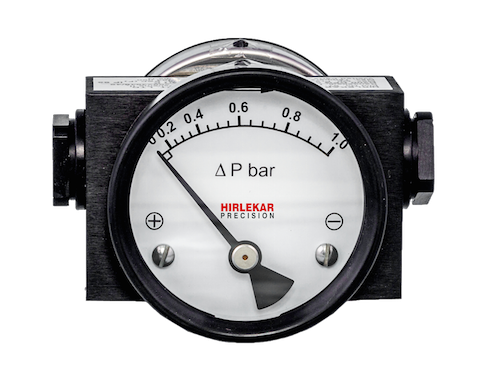 In the Hirlekar Precision Model D200 DPG, the movement of the piston is converted into appropriate calibrated rotary movement of the pointer through a magnetic connection. This type of piston model is used in applications where minor migration of the media from high pressure side (HP) to low pressure side (LP) is permitted. Double dials mounted on both sides of the main body can be viewed from two sides. 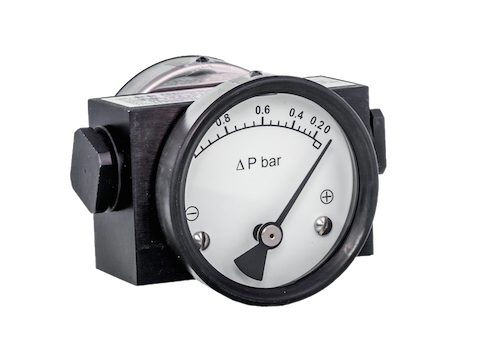 This type of gauge is popular on cartridge filters.